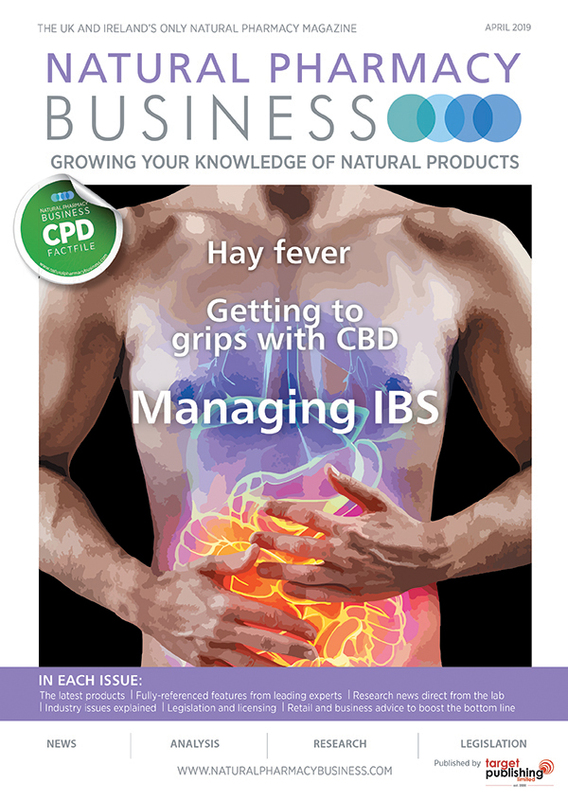 Pioneering natural health company BetterYou has developed a scientifically magnesium chloride and calcium supplement for those who want to maximise their bone health conveniently and effectively. Peak bone mineral density is reached during your mid-twenties. After the age of 35 bone loss increases gradually as part of the natural ageing process. 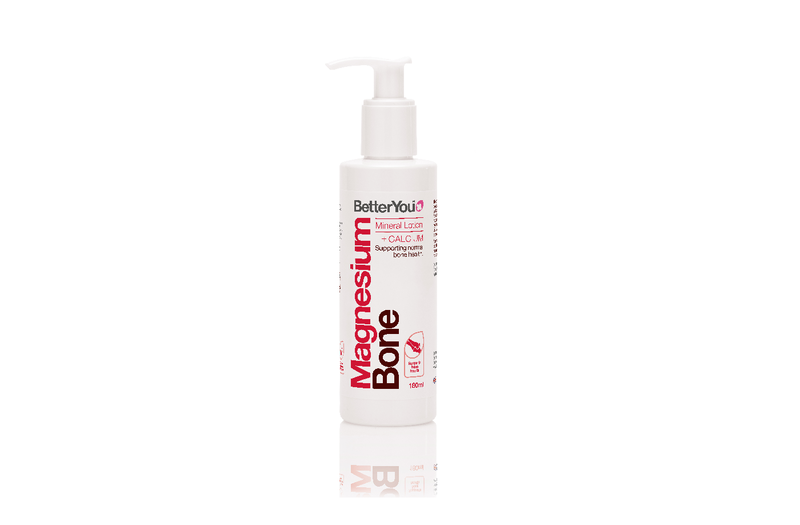 BetterYou’s new Magnesium Bone Lotion supports bone health with the combination of magnesium and calcium, expertly formulated at an optimal 1:1 ratio and blended with a hydrating lotion. Creating a unique way to supplement these two essential nutrients. The lotion utilises an oil in water formulation, unlike most lotions found on the market which are water in oil emulsions, giving the product a non-greasy feeling. It also has an occlusive effect which increases the absorption of magnesium through the skin. Despite calcium intake in the UK being amongst the highest in the world, we also have some of the highest rates of bone-related illness with over three million people estimated to suffer with osteoporosis, and more than 300,000 people experiencing fragility fractures from minor bumps or falls every year. This is in part due to the low level of magnesium within modern diets and highlights the importance of supplementing calcium and magnesium together. Magnesium stimulates the activity of cells critical to bone formation with magnesium deficient bones being larger, more brittle and susceptible to fractures. Without the presence of magnesium, calcium cannot be transported to the bones and can lead to the hardening of the arteries, osteoporosis and bone fractures. The ideal magnesium to calcium ratio, as suggested by the current NRVs (Nutritional Reference Value), is a 2:1 ratio of calcium: magnesium. However, with increasingly high calcium intakes and low magnesium levels in Western diets, particularly in women and seniors, the ratio for optimal health in a Western diet is 1:1. Studies have shown that supplementing transdermally (through the skin) offers effective absorption, with proprietary research conducted by the University of Cardiff demonstrating the absorption of both magnesium and calcium through the transdermal membrane. Simply massage four pumps of the BetterYou Magnesium Bone Lotion onto clean, dry skin after a bath or shower, focusing on areas on concern. Four pumps of the BetterYou Magnesium Bone Lotion provides 75mg of magnesium (20% NRV) and 75mg of calcium (9% NRV). One bottle provides a month’s supply. This delivery mechanism bypasses the digestive system completely and offers the first proven effective alternative to traditional tablets. To help build optimum bone health it is recommended that Magnesium Bone Lotion is used in conjunction with BetterYou’s DLux+ Vitamin D+K2 Oral Spray.